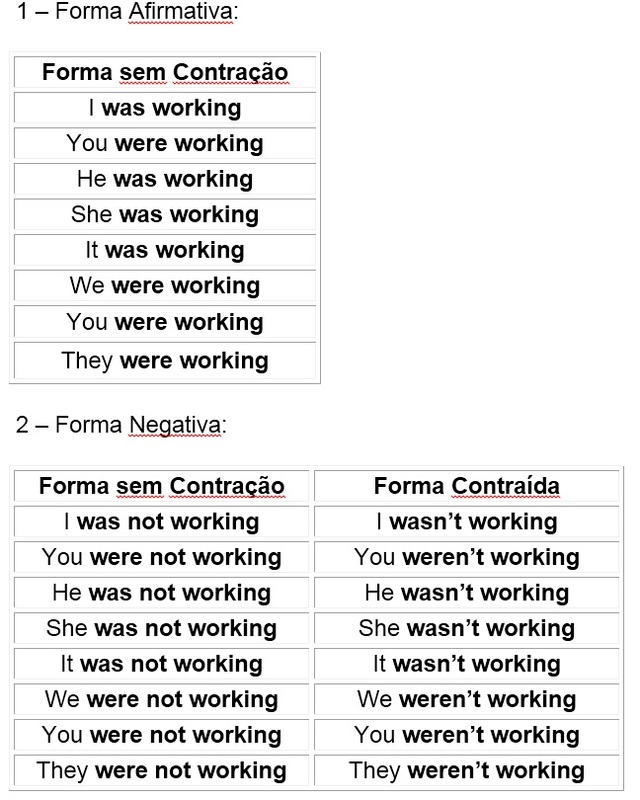 Vem com a gente revisar o Past Continuous (Passado Contínuo) para gabaritar as questões de Inglês do Enem! O Passado Contínuo (Past Continuous) é um tempo verbal usado para descrever ações que estavam ocorrendo em um determinado ponto no passado. Vamos aprender a usar? É inglês para o Enem! She was getting ready for the party when you arrived. They were always coming up with creative ideas. The teacher was reading a book while the students were taking the test. It wasn’t raining when the plane took off. Where were the kids playing? Vamos agora revisar o PASSADO CONTÍNUO com uma excelente videoaula! E para finalizar, que tal alguns exercícios para rever o que você aprendeu? 1. When Sarah (do) __________ the dishes, she (break) ________ a cup. 2. The children (drink) __________ some milk and then they (go) ______ to their room. 3. While the boys (play) ________________ their mother (read) _______ a book. 4. They (go) _______ to work, (turn on) ________ their computer and (start) _____ working. 5. I (watch) TV ________ when I (hear) a loud noise outside.